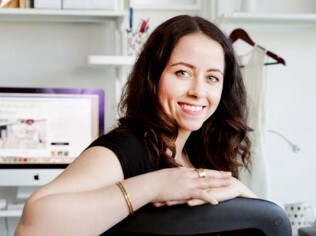 I left Canberra four years ago to relocate to Melbourne and since moving to Docklands a lot has changed in the area – especially the option of having more fun things to do. 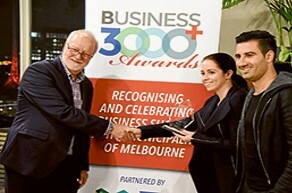 However, despite those changes, I’m still being asked by a lot of Melbournians what do I do for fun in Docklands? 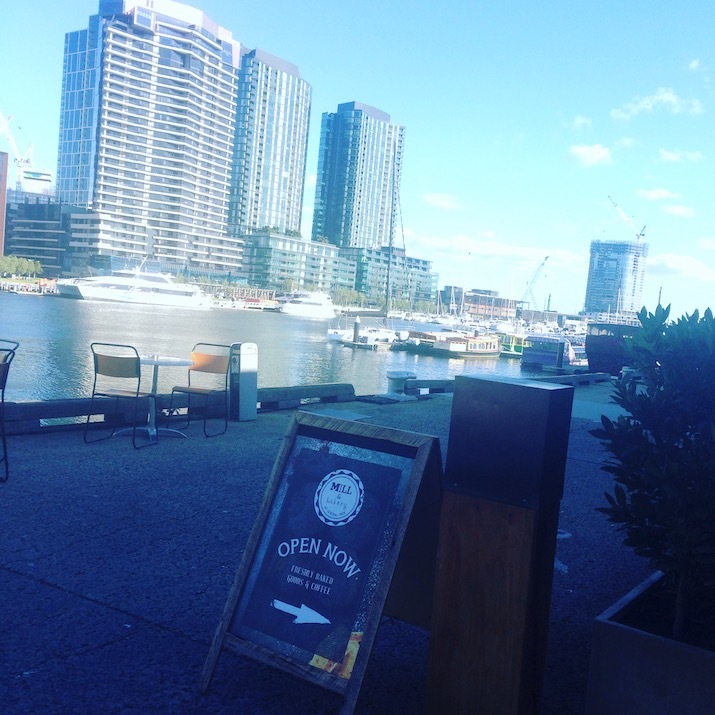 So, I decided to put this blog post together that highlights some fun things you can check out with your friends and family next time you visit Docklands. Docklands is a beautiful precinct and it is emerging as a trendy place to live with apartment prices starting to be the highest in the city. During my time in Docklands, I’ve noticed a real push for entertainment focused around families. There is now a Wonderland Fun Park, a Docklands Park with an interactive playground, an Icehouse where you can enjoy ice skating or watching an ice hockey game. There is even a Lego Education Centre as well as opens spaces and green parks with clean and easy to use BBQ facilities. 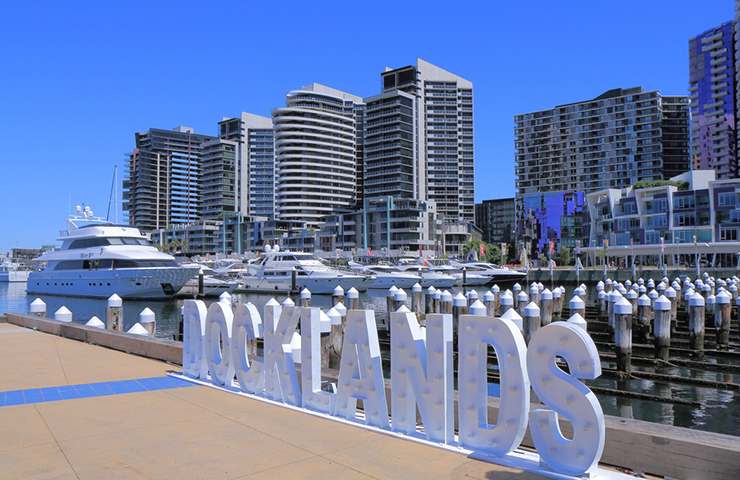 Docklands is also home to the Fox Classic cars collection and the Black Light Mini Golf course that glows in the dark (the first of its kind in Australia). There are some relaxing water cruises and charter services as well as lovely Sunday Markets and Fireworks throughout the year. 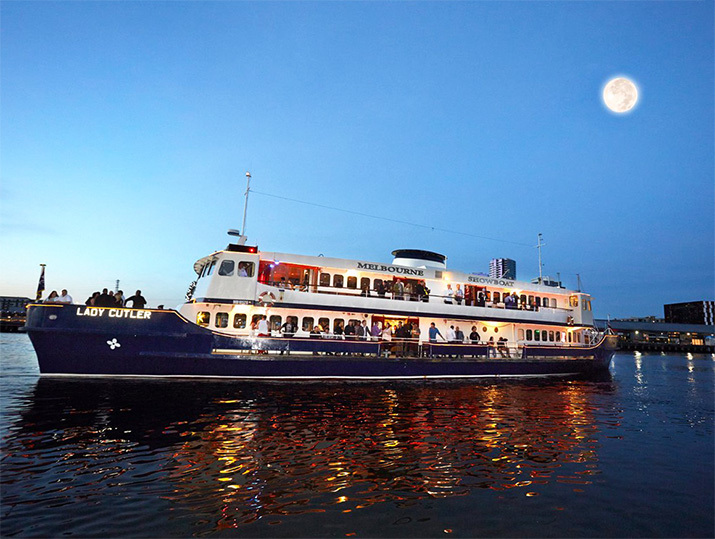 Docklands offers relaxing and very entertaining water cruises and charter services such as the Burlesque Showboat Cruise. 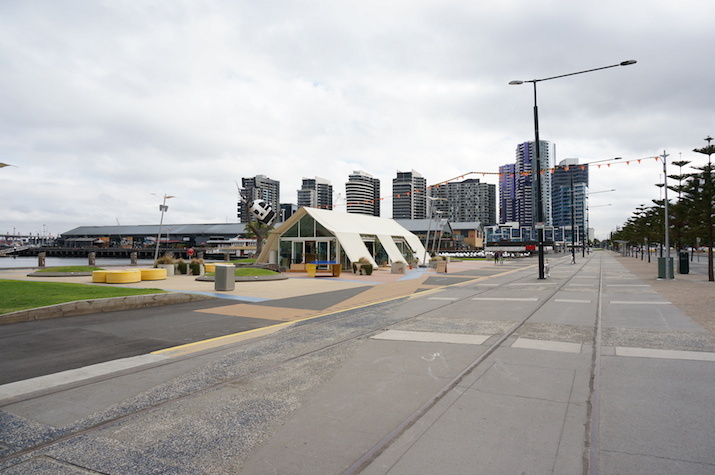 Docklands is a very modern, clean and innovative precinct in the heart of Melbourne CBD with many beautifully landscaped esplanade, promenades and beautifully architecture buildings. With so much water frontage you can pick any spot you like to have some relax time close to the water. Below are some other things you can enjoy in Docklands. The team at Victoria Harbour organised some outdoor movie nights in February for free for the public to enjoy. 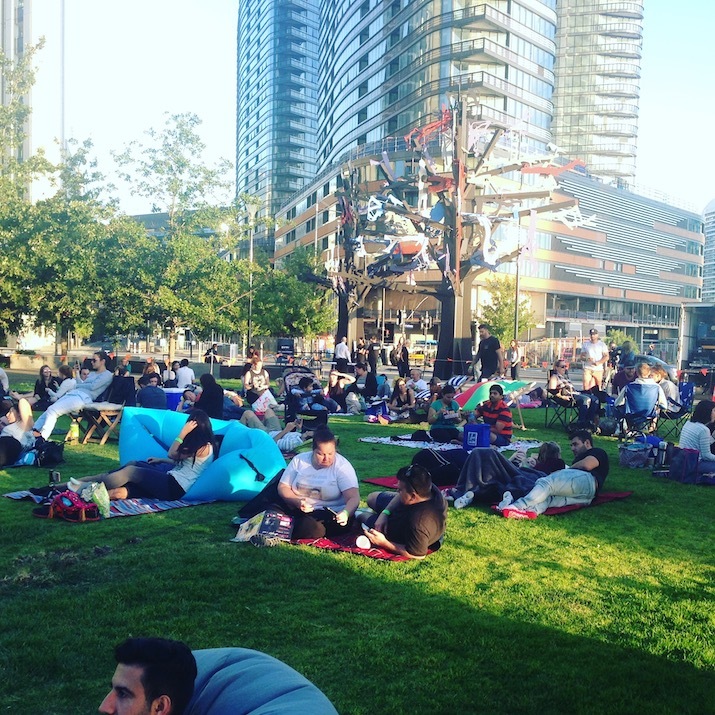 The lawns in front of the Docklands Library turned into a large outdoor pop-up cinema, equipped with a giant blow up cinema screen. A photo of the other people who joined me to watch The Wedding Singer on the lawns infront of Docklands Library. I was invited to go along and to watch The Wedding Singer. It was a pleasant and very relaxed atmosphere, and I loved the idea of being outdoors watching a movie under the stars with my other half. The evening was topped off with a fresh antipasto pack, delicious Italian desserts and cold-pressed coffees offered to us by the crew at Saluministi. It did get a bit breezy towards the end of the movie, so it is a good idea to bring something warm to cover up and also something to lay or sit on. 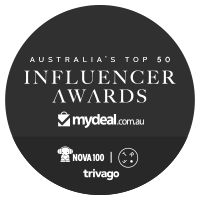 It was a great night out and something I would recommend to do with your family and friends. 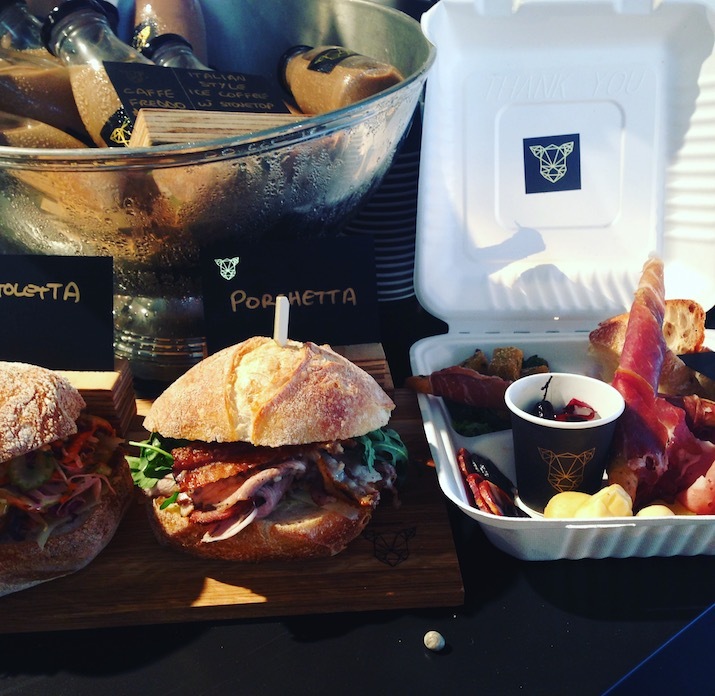 Thank you again to Saluministi who treated us with a fresh antipasto pack, delicious Italian desserts and cold-pressed coffees. There is one more screening for the month of February. You can view the movies and times here. 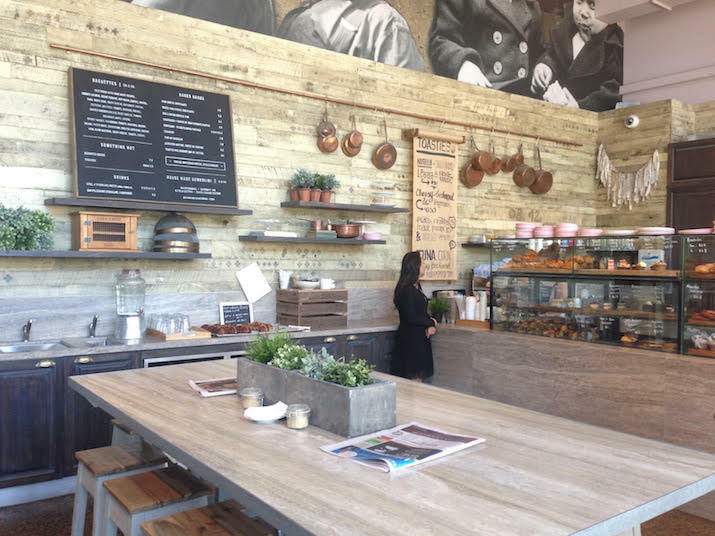 Mill and Bakery is a hidden gem located at central pier in Dockland. It’s one of a few places opened on the weekends in Docklands to grab something nice to eat for breakfast. I enjoy the tranquillity of being able to sit outside, right along the water and treat myself to a small handmade quiche (or a breakfast baguette) with a nice cup of tea. They have a lovely vintage inspired interior with a large feature window into their baking premise where you can see them make their yummy treats. During the weekday, you can feel completely satisfied with a bowl of warm, freshly made pasta from Adrian and Christine at Twirled Pasta. This husband and wife duo make you feel welcome every time you step foot into their place – it’s a cozy feeling. You can sometimes catch Adrian working away making his popular pasta at his pasta machine. Besides their super tasty bowls of pasta, they also serve up lovely coffee which you can enjoy with some homemade cannoli (which Adrian claims to be the best in Docklands!). The outer shells are the perfect amount of crunch, and the creamy fillings are not overly sweet. Just ask Adrian which flavour he has made for the day as he tends to enjoy experimenting with different flavour combinations. Be warned, though; you may end up buying two because eating one cannoli is never enough. 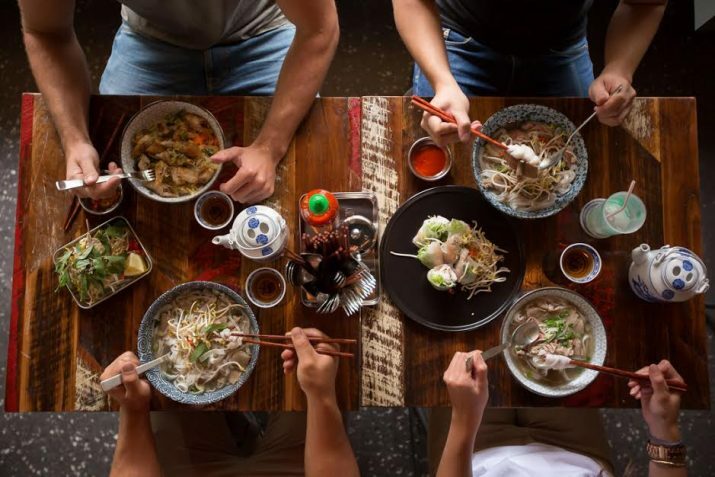 There is no better place to eat fresh and healthy Vietnamese food like you can at Banoi located along Bourke Street. Banoi offers a modern twist to Vietnamese. Their portions are the perfect size and are very well priced. My favourite dishes from Banoi are the Wagyu Beef Salad, Vermicelli Bowls with Chicken or a nice warm hearty Pho. The food is so fresh you leave feeling great and not overly full. I also like the atmosphere in the place. It’s chilled and calm and always plays the coolest of tunes in the background. There is also plenty of natural light, and you can enjoy eating indoors or outdoors. I haven’t eaten Vietnamese food like this anywhere else in Melbourne city. 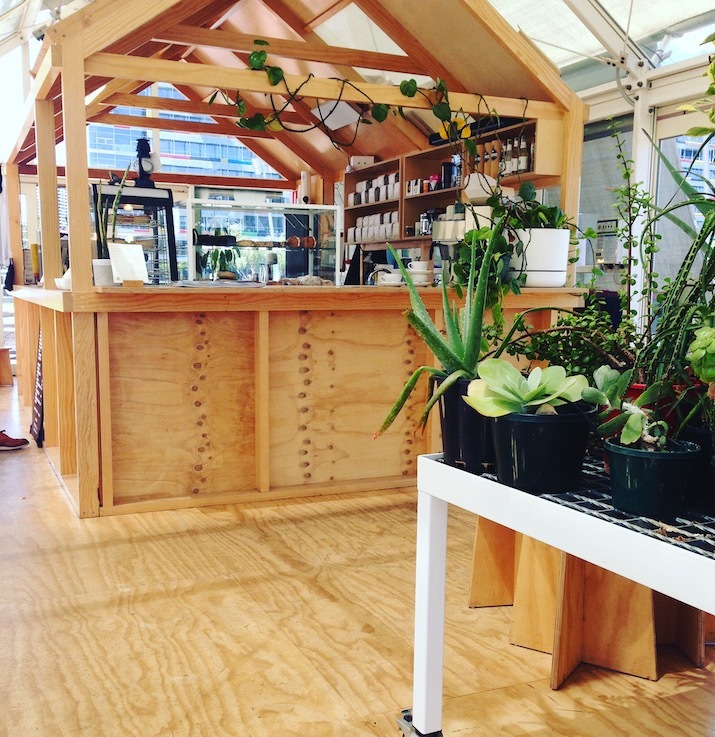 Hortus is my go to place in Docklands for a coffee. It’s conveniently located right along Harbour Esplanade (right next to the Cow in the Tree). 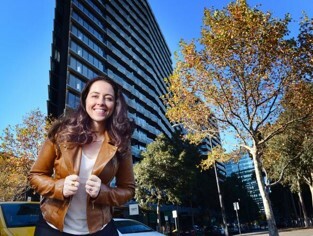 The location is perfect for me because I take my little Goochie for a walk past there all the time and enjoy being able to stop over for a coffee while overlooking the stunning view of the water. Hortus is located in this white tent cafe (right next to the small black and white cow you can see to the left in this photo). Hortus is open seven days a week, and it’s the only coffee place I would recommend on the weekends in Docklands. Here you can see the inside of Hortus. I also appreciate the fact that they offer almond milk and soy (there are still so many places in Melbourne that do not provide almond milk). If you don’t like a coffee too strong they also have freshly brewed filtered coffee which is a smoother tasting option. They also have some nice small food to enjoy, but I would recommend one of their homemade pies. I would have to say they are probably in the top three of pies I have eaten in my life! The pastry is perfectly balanced, not too thick, or dry with a beautifully infused meat mixture. Their meat pies are served with some greens and a subtle tomato chutney.